Bestacid E.C. is a commercial insecticide may contaminate the snail habitats.. Biomphalaria alexandrina snails act as bioindicators of environmental pollution. Ocimum basilicum plant showed many pharmacological effects. The present investigation studied the potential protective effect of O. basilicum ethanol extract on Bestacid- induced toxicity on B. alexandrina snails. The results indicated that Bestacid E.C. had a molluscicidal effect on snails, where, LC50 was 25 mg/l. Continous exposure of snails to the sublethal concentration (LC25) of Bestacid for two weeks followed by two weeks of recovery decreased their survival, reproductive rates (RO) and total blood count than the control ones and caused several histopathological alterations in the hermaphrodite gland. 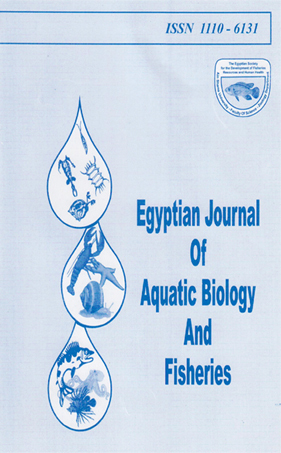 Treating B. alexandrina snails with Bestacid and the same equivalent or double concentration of the ethanolic extract of O. basilicum plant for two weeks led to an improvement of the biological, histological and hematological alterations induced by Bestacid E.C., where, it caused amelioration in the tissues of the hermaphrodite gland histology and this mirrored on survival and reproductive rates and increased the mean total number of hemocytes. It was concluded that using eco-friendly material like O. basilicum may help in the amelioration of the toxic effects of the chemical pollution.